Next week will see the opening of 1st Republic Brewing Co.'s brewery and homebrew store in Essex Junction. 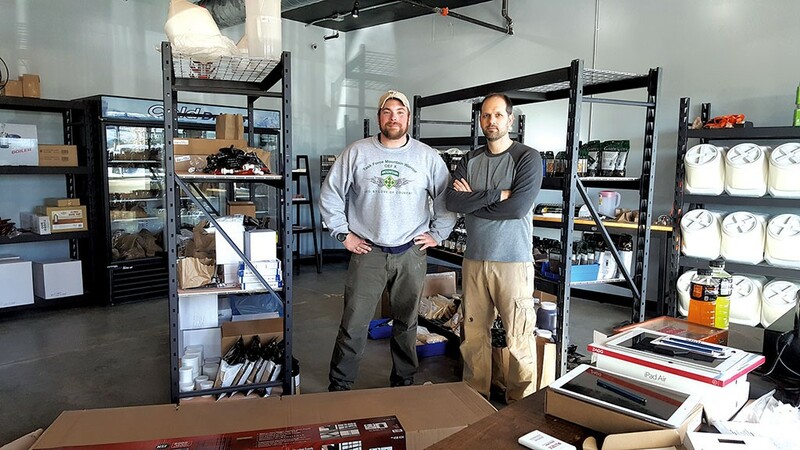 After several years of brewing in a Fairfax garage, Kevin Jarvis, 39, and Shawn Trout, 33, will move their operation to 39 River Road, Suite 6, where they'll offer both a tasting room and homebrewing supplies. Starting the week of February 29, pending final inspections, the store will sell hops, vessels, yeast, grains and more, while the brewery is slated to be up and running in mid-April. A full-service online store will set 1st Republic apart from similar retailers, Jarvis says. Homebrewers can stop to pick up a bag of malt or order online and have it delivered the next day. The brewery will be an expansion of the duo's previous operation, which has supplied its pale ale, red wheat ale and porter to establishments such as the Monkey House, Bluebird Barbecue, and the Farmhouse Tap & Grill. While operations have ceased during the move, 1st Republic will reopen with a 3.5-barrel system, and Jarvis and Trout hope to expand into wilds, sours and lagers with the new equipment. The most exciting thing about the move? "My wife is really happy she can put her car in the garage now," says Jarvis. The original print version of this article was headlined "Brews News"